 U. Miami doctors get protection from lawsuits - ONRAD, Inc.
Miami Herald | A proposal to give UM doctors working at Jackson Memorial Hospital state lawsuit protection was approved. In a long-sought move, the University of Miami won a legislative victory on Wednesday when Florida lawmakers agreed to extend state lawsuit protection to university doctors working in public hospitals. Gov. Rick Scott will likely sign the bill into law. Scott is also expected to sign another lawsuit-limitation bill that passed Wednesday that changes the way people can sue automobile makers. The vote to give “sovereign immunity” to UM has been years in the making. The state protects government hospital employees, residents and interns — including those at Miami’s Jackson Health System — from major medical malpractice judgments. But UM medical school doctors who teach at Jackson are not covered by the protected status. For two decades, UM officials have pushed to receive the same benefit, saying patients often sue the university instead of Jackson because of UM’s deep pockets. The university spends $40 million a year on malpractice cases, said Ron Book, one of UM’s lobbyists in the Capitol. State protection, he added, could cut that expense in half. “This good bill will even the playing field,” said Rep. Jeanette Nuñez, R-Miami, speaking on the House floor for SB 1676, which was approved Tuesday in the Senate. The bill was pushed in the House by former Rep. Esteban “Steve” Bovo, R-Hialeah, and later by Rep. Frank Artiles, R-Miami. The legislation would also affect other public and nonprofit hospitals. In Miami, Jackson backed the measure — as did Florida International University, which wants students of its young medical school to train at Jackson side-by-side with UM doctors. UM has been blocking FIU medical students from Jackson Memorial because of the fear that UM doctors would end up getting sued. Trial lawyers repeatedly opposed the measure as it moved through committees, saying it condoned medical negligence and did not impose strong enough open records requirements on private universities that would now be protected by state government. But with a Legislature keen on limiting lawsuits, the bill sailed through the Senate; it easily made it through the House. The House voted 94-21 to make expert witnesses regulated by the state. Those who give deceptive testimony would face loss of their license and possible disciplinary action in future cases. Later Wednesday, the House voted 80-35 to change the “crashworthiness” doctrine in automobile wrecks. Currently, a person who was involved in a traffic accident can sue an automaker for making a defective vehicle, but the law made it difficult for the automotive company to present evidence showing that others were more at fault for the accident. But Rep. Rick Kriseman, D-St. Petersburg, said this was a bailout for Ford Motor Company, which manufactured bad Crown Victorias used by highway patrol troopers and other police. Miami Herald staff writer John Dorschner contributed to this report. Patricia Mazzei can be reached at pmazzei@MiamiHerald.com.